HELP! I believe strongly that my ancestor WILLIAM FOWLER was the son of Ellis. I have no proof but here are the clues. However please clarify was the ELLIS in this report actually HENRY ELLIS JR? 1-My ancestor William was born 1790-1800. He was on the 1840 Census of Henderson County, NC listed as being born in South Carolina. His first 3 sons were also born in SC. 2-I have found no record of William or these sons or his wife in South Carolina. Of course first names were not listed of children. But I have no record of a William in SC that fits the description. 3-William of course was one of the most common names. But my story is complicated further by the wife’s name. He married ELIZABETH (unknown) about 1817-18. How easy is that name to find! William was born Abt. 1800 in South Carolina, and died Abt. 1857. He married (1) Elizabeth Unknown Abt. 1817. She was born Abt. 1798 in South Carolina, and died Abt. 1850. He married (2) Jane McCarson 11 Jan 1856, daughter of James McCarson and Martha Richardson. She was born Abt. 1814.
i.	Lemuel B. Fowler, born Abt. 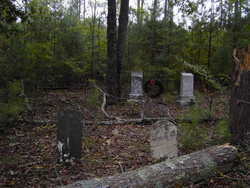 1818 in South Carolina; died Abt. 1884 in Transylvania Co. North Carolina. He married (1) Mariah Margaret Galloway Abt. 1837; born Abt. 1820; died Abt. 1866 in Transylvania Co. North Carolina. He married (2) Nancy Kimley McGaha Abt. 1870; born Abt. 1848.
ii. George Washington Fowler, born Abt. 1820 in South Carolina. He married Elizabeth Elmira Guice Abt. 1842; born Abt. 1825.
iii. Martin Fowler, born Abt. 1821 in South Carolina; died 03 Nov 1895 in Mills River, NC. He married Mary Phoebe Corn; born 1826 in North Carolina; died Oct 1904 in Henderson County, NC. iv. Berry Benjamin Fowler, born 05 Jan 1822 in South Carolina; died 13 Feb 1914. He married Sarah Sallie McCarson Abt. 1840; born Abt. 1822; died 06 Jan 1884.
v.	James Tinsley Fowler, born Abt. 1825 in South Carolina; died Abt. 1885. He married (1) Mattie Lee Martin; born Abt. 1830; died Abt. 1869. He married (2) Eliza Gallion Abt. 1842; born Abt. 1828 in North Carolina; died Abt. 1874. He married (3) Louisa Unknown Abt. 1876; born Abt. 1839.
vi. John Jackson Fowler, born Abt. 1830; died Apr 1902 in Henderson County, NC. He married Arminta Priscilla Hulda Bradley 16 Aug 1858 in Henderson County, NC; born Sep 1844. 5-It may be coincidental, but Union County, SC is the only one which also listed that year a MARTIN FOWLER and a LEMUEL FOWLER. They are not the same, but this may indicate someone in the same family. 6-My ancestor is MARTIN who married Phoebe Corn. He named a son, my great grandfather PINCKNEY. I know that Pinckney was a common SC name, for the governor, but it MIGHT be that Martin was naming him for PINCKNEY TOWNSHIP in UNION COUNTY. As you know, Pinckneyville was going to be the capital of the Upstate until the railroad passed through Union. Now it is a ghost “town” on the Broad. 9- The Fowlers of Union beginning with Ellis Fowler’s grant lived in PINCKNEY TOWNSHIP, and I can see the naming of Pinckney more in memory of that than of the famous governor and his family. 11- It would not have been difficult or an arduous journey for a family at that time to move up the Green River Road from Grindle Shoals in Union County to Island Ford between Spartanburg and Rutherford, and then on up to Henderson County. That is not a long distance. Or it is entirely possible that a Fowler family moved to Greenville County, as did the McJunkin family, from Union, and then on to the area now in Henderson County, adjacent to Henderson, in search of work or cheap land. DOES ANYONE HAVE A CLUE TO THE ORIGIN OF THIS WILLIAM? I think it was Union County. You absolutely need to yDNA test if you want to find your Fowler origins. The subject of the article posted is Ellis Fowler b. 1770, son of Henry Ellis Fowler and Catherine Puckett. The above men were father, son, and grandson respectively. 1. Henry Ellis Fowler was married to Catherine Puckett. 2. Ellis Fowler b. 1770 was married to Mary. He was also known as Ellis Fowler Sr. on legal documents. 3. Ellis Fowler b. 1810 was married to Sarah Clark. He was referred to as Ellis Fowler Jr. in legal records. Henry Ellis Fowler did have a son named William. William died in Union County in 1812 and could not have been your ancestor. The Martin Fowler in Union County SC was a descendant of the Coleman Fowler line. The Henry Ellis Fowler line has several descendants who were named Coleman. Lemuel Fowler was a name used by both the Henry Ellis Fowler and Israel Fowler lines. The only son of Ellis Fowler b.1770 that I have been able to document is Ellis Fowler b. 1810 who married Sarah Clark. The 1800 Union County Census shows that there were two sons born to Ellis and Mary Fowler between 1790 to 1800. I HAVE NOT YET BEEN ABLE TO DETERMINE THE NAMES OF THE TWO SONS. It is possible that your ancestor was one of these sons. Since Ellis and Mary Fowler were not counted in the 1810 census, it makes research a little difficult following their offspring. Please keep me updated on your research and especially if you do yDNA test! Your next step should be to order a yDNA test. If your results show Haplogroup I -Lineage IV, then you are descended from the Henry Ellis Fowler line. It is possible that your ancestor William was a son of Ellis and Mary Fowler. There are also other Fowler men born in the late 1790s who lived in Union County that could have been sons of Ellis and Mary. (Reuben Fowler. Andrew Fowler. Thomas Fowler of Pacolet SC) There are also possibilities that your ancestor William was descended from a son of John Fowler d. 1818. If you get your DNA results, I will help you research. Also, I have atDNA tested several Henry Ellis Fowler descendants using FTDNA. Have you uploaded your results from ancestry to either FTDNA or GEDmatch? It would be interesting and helpful to see if you match these descendants. Pinckney was a name used in the Israel Fowler line. William Fowler of Greenville….. unless there is yDNA testing of descendants, I would not jump to any conclusions that these men were descended from the John Fowler line from Virginia. DNA testing has proven that the yDNA haplogroup for the John Fowler of Virginia line is Haplogroup I – Lineage IV. If you are using House of Fowler as a primary source of information please use caution and document. There are many mistakes on the book and yDNA testing has proven that the author himself was not descended from the Fowler family that he wrote about. All of these sons remained in Union County SC until their deaths. Most of the Union County Fowler families today are descendants of the Henry Ellis Fowler line. There are a few living descendants who carry the DNA of both the Henry Ellis Fowler and Israel Fowler lines. I believe that I have located the original land granted to Henry Ellis Fowler. This land is not in the Pinckney township. If you have exhausted your paper trail research, the next logical step is yDNA testing. I suggest FTDNA.com and please join the Fowler Surname Project. I did the DNA with Ancestry, but that is probably not enough. Yes I have all three of the Ellis Fowler’s that you listed and feel that #2 would be in line to be the logical parent of my ancestor William born 1790-1800. Tell me how to do the DNA if Ancestry’s is not suitable. Family Tree DNA will have a Father’s Day sale. You should order a test of at least 37 markers and join the Fowler Surname Project. We have excellent researchers working on the project and I feel that this will greatly help you find your ancestor.